Kotaku has got their hands on a rather beefy list of reported Xbox 720 specs from what they call a “reliable” source, who has tipped the agency off a few times in the past. The source has been notorious for throwing out information on next generation consoles and we suspect whoever they are, they have a strong industry position, as the forms in their possession are secret for premium developers and some industry officials only. The next generation consoles are going to be beefy monsters, ready to take on the top-end PCs that cost over $1000, if the leaks being released are correct. This includes an eight-core CPU running at 1.6GHz, a pretty slow amount considering most over-clocked PCs are at 3-4GHz. With 8GB of RAM and an 800MHz GPU to keep speeds running fast and smooth, and various custom hardware blocks to ease the CPU use, this seems to be a killer gaming console, one that would enhance the console gaming experience far beyond anything we are seeing presently. The Southbridge controls output and there are a lot of different outputs and pointers. 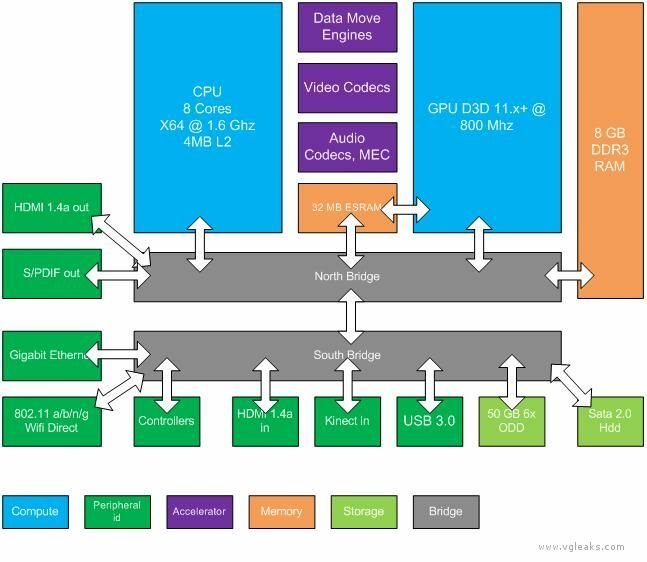 We suspect you already understand most the information on the Xbox 720 specs image. Rumours regarding the next version of Kinect, labelled Kinect 2.0, are quite varied. Some say it will be an accessory you purchase and it has advanced sensors; others, including Kotaku, say the device will be mandatory and always on for the Xbox 720 to function. According to the rumour, the new Kinect sensor will be able to track up to six people, notice faces instantly and even notice emotions. The tracking area will be smaller, so gamers don’t have to put the Xbox 720 in a bedroom the size of a football pitch to get the sensor just right. Voice controls were about the only useful feature on Kinect and developers showed their mild-interest for that system, although motion sensors were completely abandoned by any development company not on Microsoft’s payroll. Kinect 2.0 will come with IllumiRoom, this will allow users to open up the game to your walls and completely fill your room with the gaming environment. We believe Kinect will come integrated with a small projector to display this image. 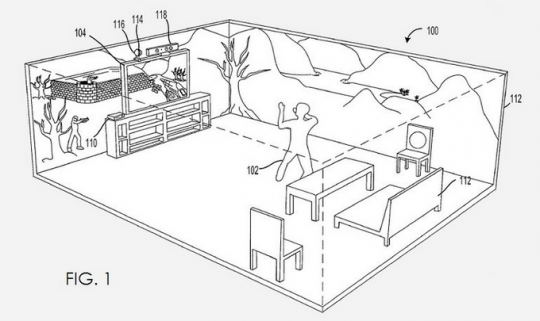 Kinect 2.0 may have multiple projectors for a full environment. The Xbox 720 controller hasn’t been leaked as much as the PlayStation 4 controller, with many different news agencies adding new rumours every day for the Sony model. This could be partly due to an apparent “evolution” of the controller design, instead of a number of new features being added to the Xbox 720 controller. We suspect that Microsoft know the experience the users are getting is good, and they don’t want to change it. That being said, Microsoft could add a few accessories as they have done in the past. These could include a small attachable touchpad, a small keyboard, joystick side controls. Microsoft may also add NFC for wireless controller charging.. The Xbox 720 will be capable of pausing one game and running another game or application. If you want to check your Twitter feed while on Skyrim, this may be a possibility. This is no revolution, with PCs having this capability for a long time with short-cuts The problem with consoles was in the closed environment, the rules were all made by Microsoft. 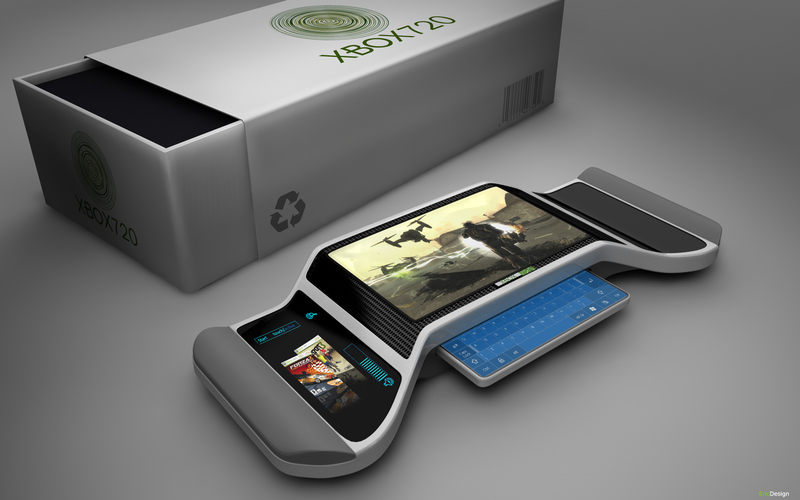 The Xbox 720 will be able to run multiple games at a time. If your friends are playing on Call of Duty for half an hour, you can stop your Skyrim adventure, join, the leave and go back right where you left off in Skyrim. 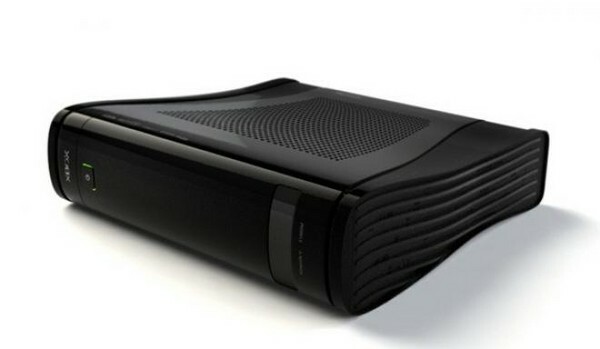 The Xbox 720 will come with 500GB of HDD storage, a huge amount for a gaming console. The set-back of this large storage capacity is every game needs to be fully installed and kept on the hard-drive, or you cannot play it. That means instead of just downloading small updates for the game, you will have a huge 3 – 10GB game sitting on your hard-drive. Not exactly pleasant for those gamers that like to play a huge variety. We believe you will be able to delete the game off the system as soon as your done playing. The game will also install automatically and you can play while it finishes installing. Cloud storage will likely be bigger and you will have the option of loading games through that storage facility.